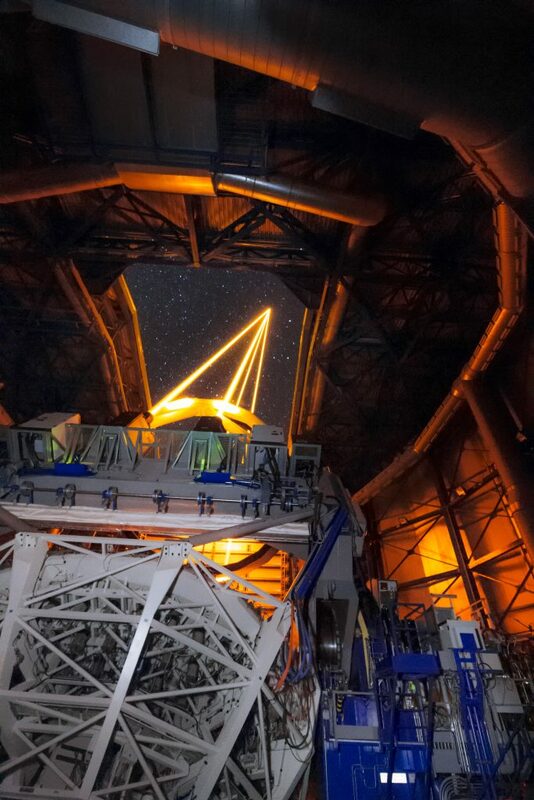 Inside the UT4 of the Very Large Telescope, part of the Adaptive Optics Facility, the four Laser Guide Stars Facility, point to the skies during the first observations using the MUSE instrument. The AOF system is composed of many parts working together to create sharp images of astronomical objects. Credit: R. Bacon.